Charles Rice defends Bishop Jenky from Notre Dame Attackers – A Must Read! Background: Bishop Jenky from Peoria Illinois a (Notre Dame Board of Fellows) delivered a noble and blistering homily on President Obama and his policies. Forty-nine Notre Dame professors condemned Bishop Jenky in a signed document. 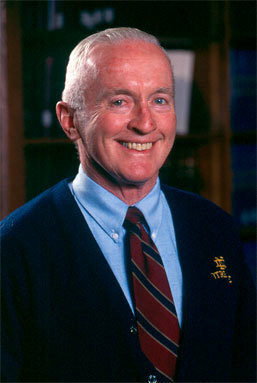 The professors were fools – as ably demonstrated by Professor Charles Rice, Professor Emeritus at Notre Dame Law School. 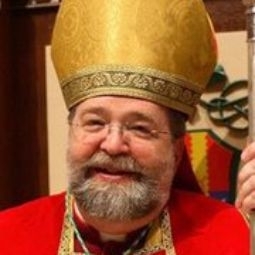 Here is a link to Bishop Jenky’s Homily and below is Professor Rice’s eloquent defense of Bishop Jenky and his astute homily. (Pray that all bishops will deliver such messages to the faithful – and to the US Government). After reading this, please write to the good bishop and give him your support. Forty-nine members of the Notre Dame faculty denounced Bishop Jenky in a Letter to the University President, Rev. John I. Jenkins, C.S.C., and the Chairman of the Board of Trustees, Richard C. Notebaert. The Letter called on them to “definitively distance Notre Dame from Bishop Jenky’s incendiary statement.” The signers, said the Letter, “feel” that Bishop Jenky should resign from the University’s Board of Fellows. Remember that in past history other governments have tried to force Christians to huddle and hide only within the confines of their churches like the first disciples locked up in the Upper Room. In the late 19th century, Bismarck waged his “Kulturkampf,” a Culture War, against the Roman Catholic Church, closing down every Catholic school and hospital, convent and monastery in Imperial Germany. Clemenceau, nicknamed “the priest eater,” tried the same thing in France in the first decade of the 20th Century. Hitler and Stalin, at their better moments, would just barely tolerate some churches remaining open, but would not tolerate any competition with the state in education, social services, and health care. In clear violation of our First Amendment rights, Barack Obama—with his radical, pro abortion and extreme secularist agenda, now seems intent on following a similar path. The immediate antecedent of that last quoted sentence refers to the fact, which not even a liberal academic could deny, that Hitler and Stalin, like Bismarck and Clemenceau, “would not tolerate any competition with the state in education, social services, and health care.” It was not “incendiary” but simple truth for Bp. Jenky to say that the trajectory of the Obama regime is along a “similar path” in regard to “education, social services, and health care.” His faculty detractors misread Bishop Jenky’s homily, assuming that they actually read it before they distorted and denounced it. The strident tone of their Letter, moreover, draws into question their own judgment and balance. Bishop Jenky properly drew attention to the impending dangers to religious and personal freedom. The Obama regime, the leader of which was elected with 54 percent of the Catholic vote, is substituting for the free economy and limited government a centralized command system of potentially unlimited jurisdiction and power. Its takeover of health care was enacted against the manifest will of the people, in disregard of legislative process and by a level of bribery, coercion and deception that was as open as it was unprecedented. The HHS Health Care Mandate imperils not only the mission of the Catholic Church but also the right of conscience itself. The faculty Letter outrageously claimed that Bishop Jenky’s limited and appropriate reference to Hitler and Stalin showed his ‘insensitivity to victims of genocide.” The Hitler record, however, is relevant in another respect. It provides an example, comparable to the Obama record, of the rapid concentration of executive power by a legally installed regime. Adolf Hitler was named Chancellor on January 30. Over the next few weeks he consolidated his power. The decisive event was the Reichstag’s approval of the Enabling Act on March 23, 1933, by which it ceded full and practically irrevocable powers to Hitler. That was the point of no return. Bishop Jenky deserves appreciation for so urgently reminding Catholics of their civic duty. He spoke the Truth as a Bishop ought to speak. And his judgment and courage reflect the finest tradition of a Notre Dame that has gone missing. Pray for Bishop Jenky, for Notre Dame, for our Church and for our country. Mass at the stone where Jesus sweat drops of blood in Gethsemane. Israel Museum to see model of the Temple from Jesus’ time and the Dead Sea Scroll Museum. Visited authentic Baptismal Site of Jesus to renew our baptismal vows before lunch in Jericho. Then to Qumran to see the ruins and the famous Cave No. 4. We discussed Scripture, Dead Sea Scrolls, ran and the Essenes. The day rounded out with a swim in the Dead Sea and camel rides and back for dinner and a free evening. Pilgrimage Day 5: Bethlehem, all day! Here Comes the Persecution! Bishops Beware of Speaking the Truth! Our friend Nael Malouf got married on Sunday in Nazareth. We were happy to join the festivities. Traditions are still much like biblical, ancient times. This is a very traditional Palestinian Christian wedding (Catholic). Enjoy the short video HERE. Is it Safe to Visit Israel This Year? Tradition, Orthodox Catholicism is Winning!